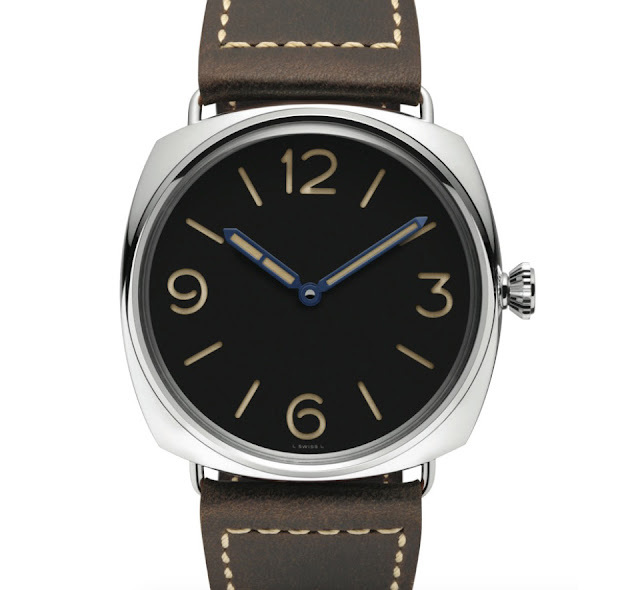 Presented on occasion of the Design Miami global forum (December 6-10), the latest model from Officine Panerai - the Radiomir 3 Days Acciaio PAM721 - comes in a 47 mm AISI 316L polished steel case framing a black dial with no logo or text, luminous Arabic numerals and blued steel luminous hands. 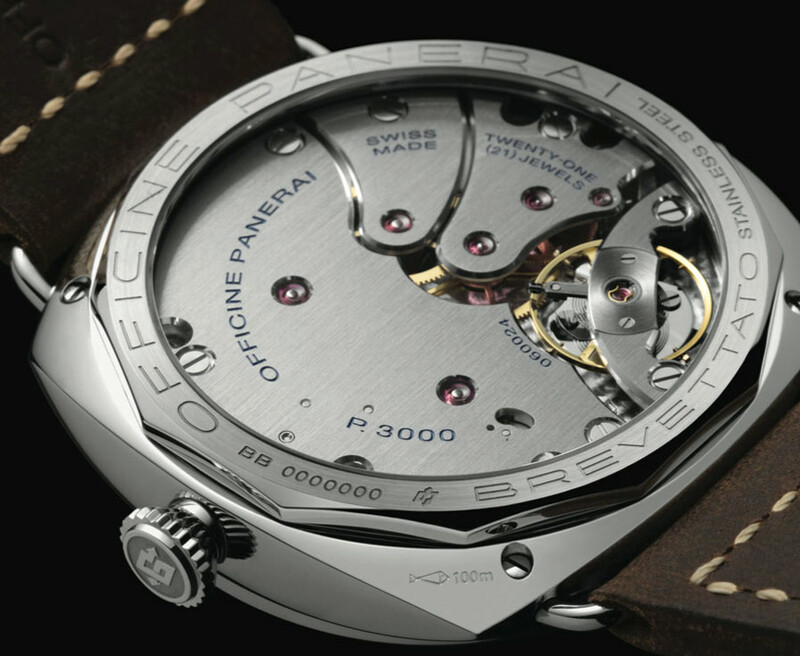 While the dial is protected by a Plexiglas crystal, on the back a sapphire crystal displays the hand-wound Panerai in-house calibre P.3000 beating at 21,600 vph and featuring an Incabloc anti-shock absorber and a Glucydur balance. The movement has a distinctive structure with wide bridges, two spring barrels which provide a power reserve of three days and a balance wheel that measures 13 mm. The P.3000 calibre also has the device which enables the hour hand to be adjusted in jumps of one hour foreward or backward, so that its adjustment does not interfere with the progress of the minute hand or the running of the watch. The Officine Panerai Radiomir 3 Days Acciaio PAM 721 for Design Miami is water resistant to 100 meters and comes on a brown leather strap with contrast stitching and a steel buckle. Officine Panerai Radiomir 3 Days Acciaio PAM721 Special Edition for Design Miami. Presented on occasion of the Design Miami global forum (December 6-10), the latest model from Officine Panerai - the Radiomir 3 Days Acciaio PAM721 - comes in a 47 mm AISI 316L polished steel case. 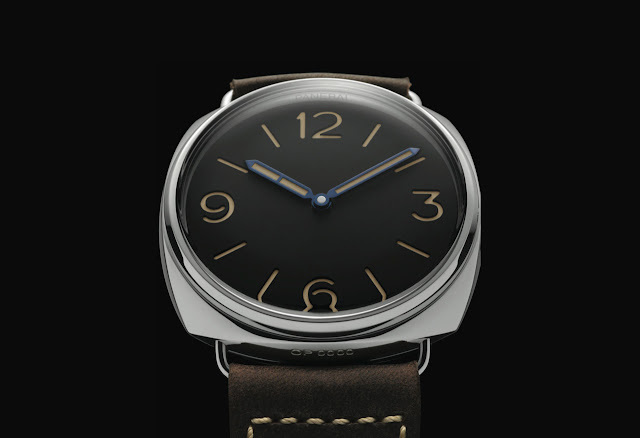 The Officine Panerai Radiomir 3 Days Acciaio PAM 721 for Design Miami has a price is Euro 9,500 / US$ 9,800.